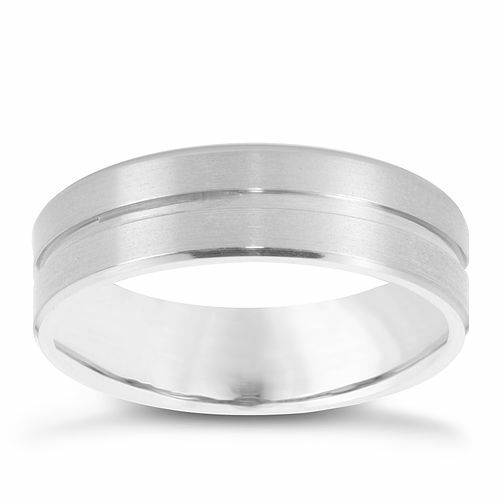 A simple yet sophisticated ring crafted in lightweight titanium and featuring groove detailing for understated style. Perfect as a symbol of your commitment as a wedding band, and a stylish every day accessory. Lightweight, durable and stylish, titanium is a must-have metal for men. Titanium ring is rated 5.0 out of 5 by 5. Rated 5 out of 5 by Anonymous from Absolutely Perfect I had an image in mind of the type of ring i wanted and Ernest Jones was the only shop that had it. Ernest Jones also had the best range and price range for what i wanted. Rated 5 out of 5 by Anonymous from Absolutely amazing! This ring is perfect! It looks great and I would definitely recommend it.